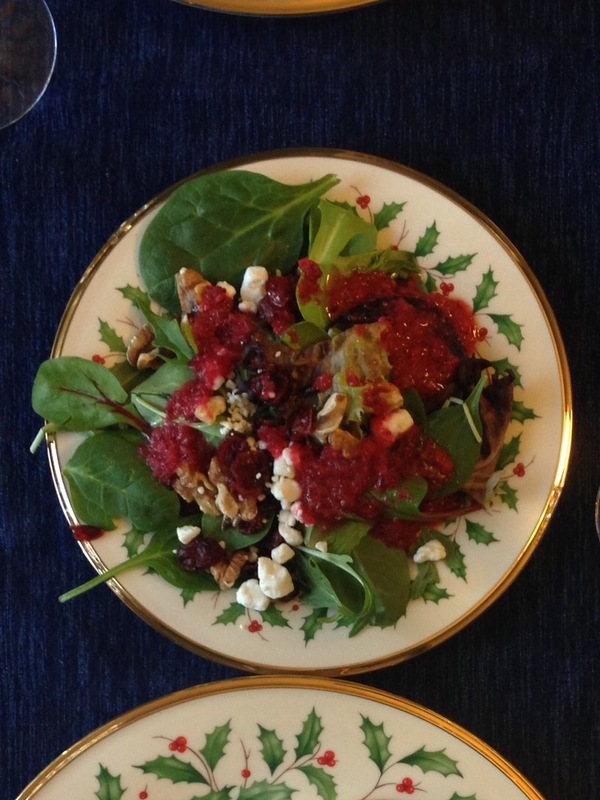 Jan Doty shared this colorful salad at a dinner party and I’ve made it three times this month! 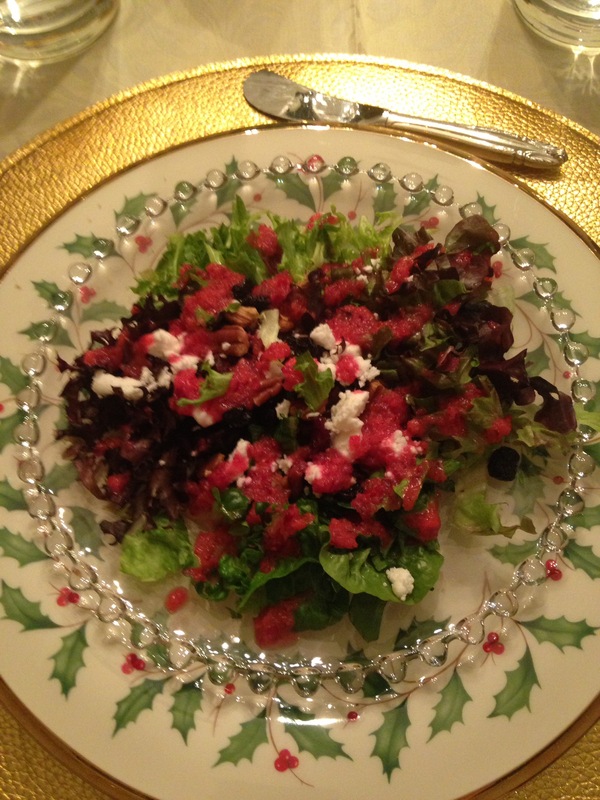 It’s a tart dressing added to lettuce, toasted nuts, sweet dried fruits and creamy goat cheese crumbles. Love it! This quantity serves about 10 or so. Posted in salads and tagged cranberries. Bookmark the permalink. That sounds delightful. I just bought myself a Ninja system for Christmas and anxious to try it out! Thanks for sharing. Guess what? I got a Ninja for Christmas too! Let me know how it goes! This was the best salad. We had it with our Crown Roast Pork with sausage and mushroom stuffing for Christmas dinner. The tart dressing was a perfect complement to the pork. Super! This salad is a winner!